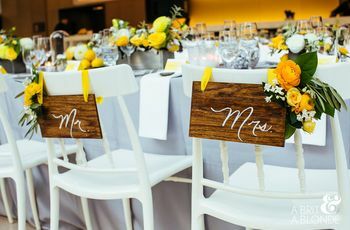 How to Choose Your Wedding Table Names | Wedding Ideas ARE YOU A VENDOR? 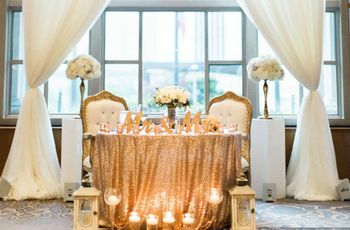 Sure, you could just number the tables at your wedding reception and call it a day, but where’s the fun in that? We suggest letting your creative side shine by choosing wedding table names that suit both your wedding theme and your personality. Use these tips and tricks and you’ll land the perfect naming scheme for your big day in no time at all. Here’s how to choose your wedding table names. You’ll need to factor in how many wedding table names you’ll need for your big day. 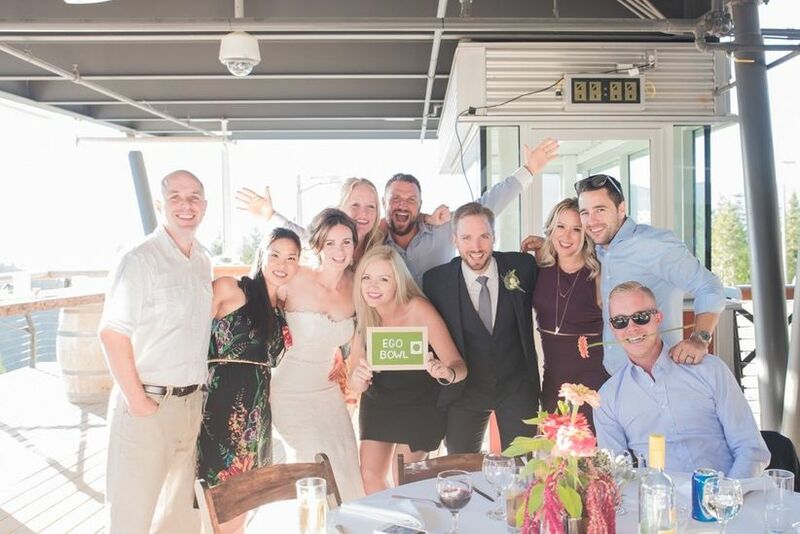 Only have six or seven tables in your wedding seating chart? You can do something niche, like name each table after one of the Friends (you know, Chandler, Monica, Phoebe, Ross, Rachel, Joey). Or, if you’ve got a bigger party in the works you’ll need something that has a lot of options, like bird breeds, landmarks or types of flowers. 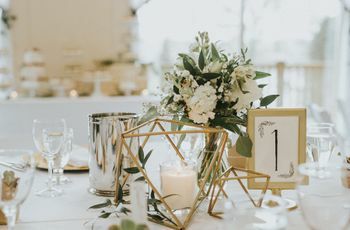 It’s not totally necessary, but a nice way to tie everything together is to match your wedding table names to your wedding theme. 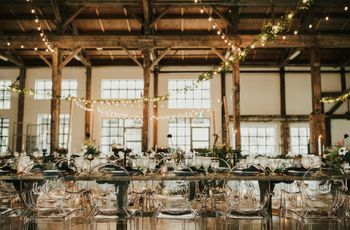 If you’re hosting a winery wedding, play off of your venue by naming your tables after types of wine. Or, if a black tie vintage wedding reception, is in the cards for you, consider naming your tables after iconic vintage stars. Marilyn Monroe, Greta Garbo and Bette Davis sound like pretty awesome table names to me. 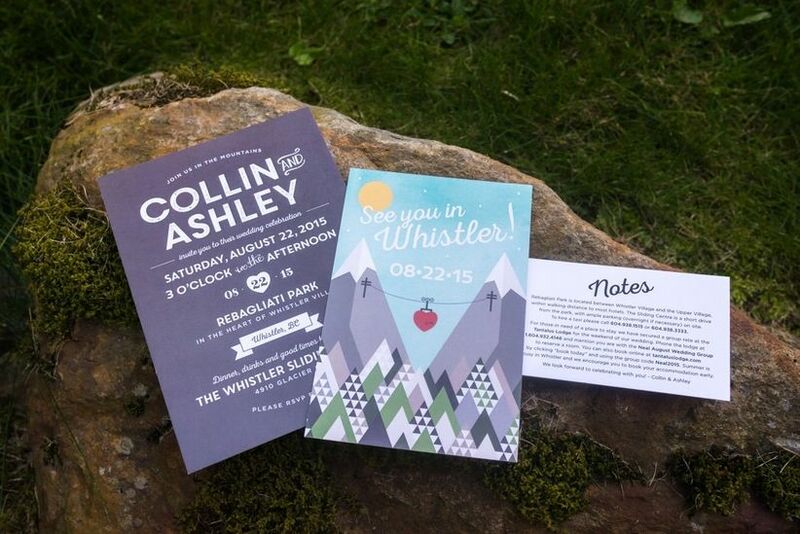 Take inspiration from Colin and Ashley's Whistler wedding where they named their tables after famous ski runs. Use your favourite things to inspire your wedding table names! Not only will it infuse them with your personality, but it may even give your guests a bit of a laugh. Maybe you and your S.O. are massive Game of Thrones geeks? Why not name your tables after all the noble houses? Or, perhaps the two of you are die-hard yogis? Naming your tables after your favourite poses definitely isn’t a bad idea. 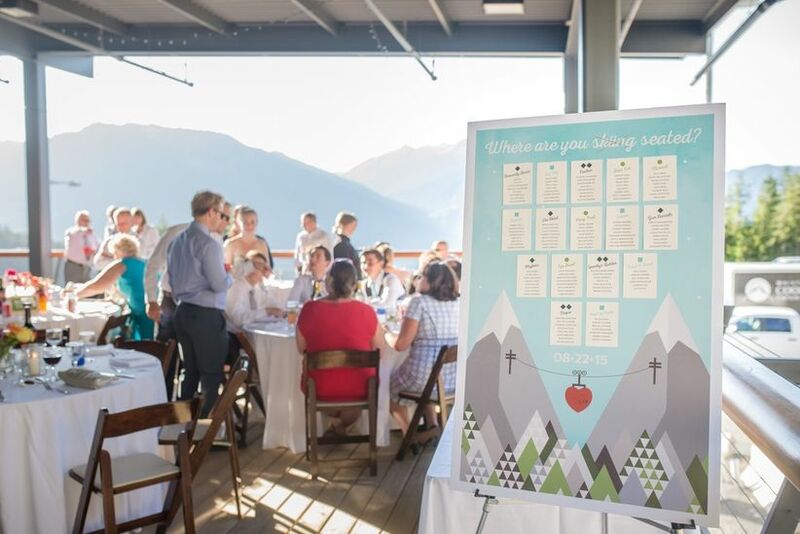 When narrowing down wedding table names, you’ll also want to consider how you’ll be displaying them on your big day. If you want to go the easy route, choose a font that complements your decor and simply write out each table name. In the market for something a bit bolder? 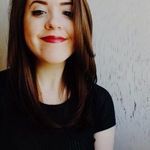 Choose names that can be paired with insta-worthy imagery. For example, if you name your tables after destinations, you could use postcards or photos of monuments as your markers. 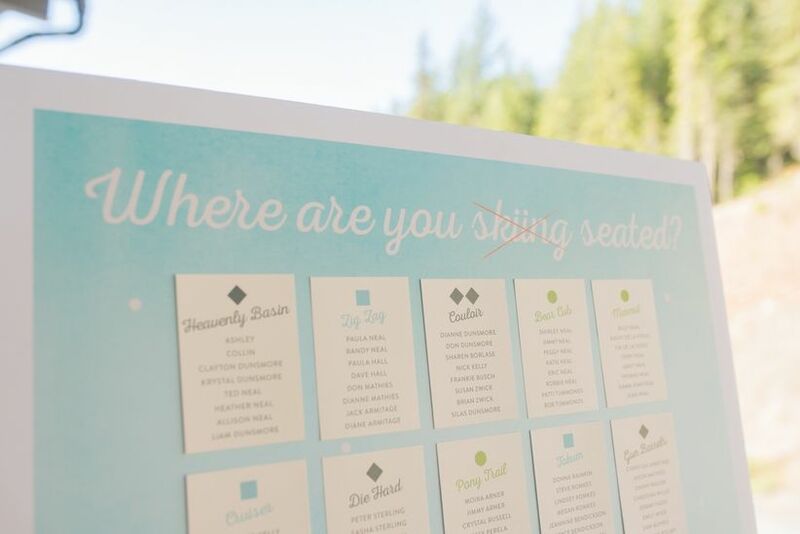 Make a coordinating wedding seating chart to really get the idea across. This is a fun groomsmen and/or bridesmaid bonding activity. 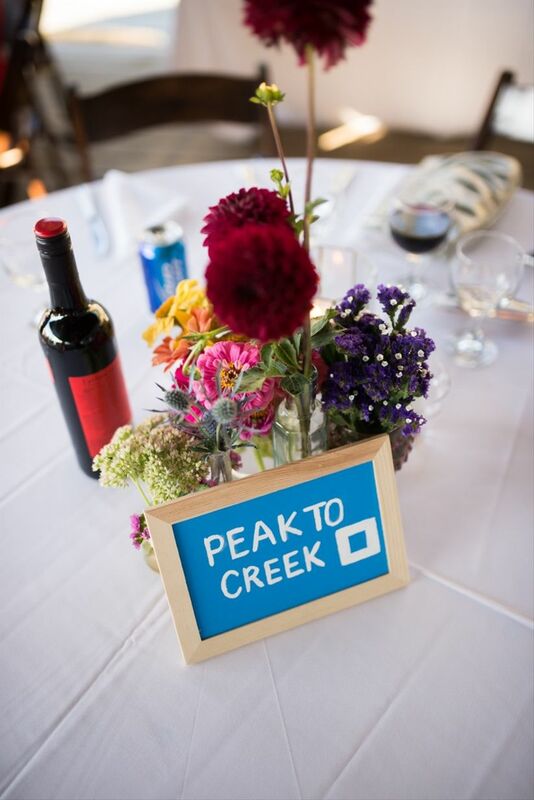 Host a little get together with your best and brightest friends and do a little bit of brainstorming for your wedding table names. Don’t forget to write everything down, it’s easy to forget when you’re having a blast bouncing ideas off each other. And, remember, sometimes the most outrageous ideas are the best ones.